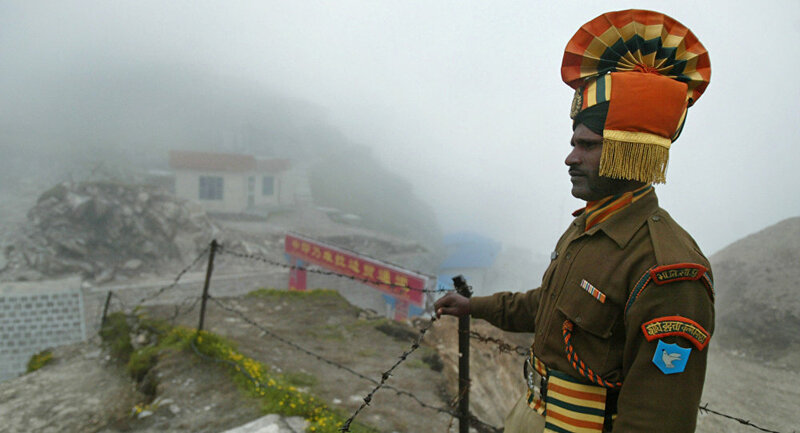 2017 was a year marked by heightened tensions at the India-China border since the 1962 war. The number of transgressions into the Indian side by China’s People Liberation Army’s (PLA) almost doubled during the year, according to the Indian defense ministry. New Delhi (Sputnik) — The 4057-kilometer long disputed border between India and China witnesses transgressions every now and then. But, the marked increase in alleged transgressions by Chinese troops inside territories which India claims as its own indicates that Chinese troops have increased patrolling not only at the traditional flashpoints but in new areas as well. Subhash Bhamre, India's Minister of State for Defense, without specifying the areas in which Chinese transgressions occurred, informed the parliament that such events reported a marked increase during 2017. "In the year 2017, the number of transgressions was 426 as against 273 in the year 2016," Subhash Bhamre, said in the parliament on Monday. However, the Indian Defense Minister tried to downplay the events by calling it a result of "differing perceptions of the border." "There is no commonly delineated Line of Actual Control (LAC) in the border areas between India and China. There are areas along the LAC where both sides have differing perceptions of the LAC. On account of this, situations have arisen on the ground that could have been avoided if we had a common perception of the LAC," Bhamre said while replying to a question in Parliament on Monday. Last year, the Doklam Platue — a tri-junction of India, China and Bhutan witnessed a 73-day long bitter standoff between Indian and Chinese troops The standoff was a result of India's efforts to stop the Chinese PLA from constructing a road in the disputed territory. There were also reports of heavy stone pelting between Chinese and Indian troops near the Pangong Tso Lake in Ladakh — another disputed patch of land. According to some estimates, the number of such face-offs also shot up to over 220 in 2017 from 146 in 2016.